In venture, there are two tables, and VCs are the go-between. There’s one where VCs listen to founders hawk their shares and make deals to gain purchase in growing companies, all for a cut of the eventual upside. And then there’s the table where venture capitalists negotiate subscription agreements with limited partners—the institutional money managers and (ultra) high-net-worth folks who, more often than not, are simply seeking (if not always achieving) asymmetric returns on capital via alternative asset classes, like equity stakes in high-growth private companies. The money investors commit to technology ventures across all stages of the private company lifecycle. A survey of exits by way of IPOs and M&A. Crunchbase projects that just under $75 billion was invested in almost 8,100 funding rounds, worldwide, in Q1 2019. This is down markedly from highs set in Q4 2018. Data points to a weakening market for Chinese startup equity as a principal contributor to overall declines. North American companies weren’t immune either. Startup and new venture fundraising remain historically high despite a slowdown. Though small-dollar startup investment deals are down, the global perfusion of micro ($25M – $100M) and nano (<$25M) venture capital funds continues apace. The U.S. government shutdown at the beginning of Q1 put a damper on new public stock offerings on American markets. However, the march to public markets resumed, shuttling Lyft out the IPO window and lining up several candidates for Q2 debuts. In a nutshell, here’s what’s going on in the world of venture at the end of Q1: Worldwide deal volume pulled back slightly, but dollar volume slipped even further. In the current venture market, nine, ten, and eleven-figure startup investment deals are a regular occurrence. There have been 103 supergiant VC rounds (raising $100 million or more) reported in Q1, averaging more than one per day. As of Q4 2018, venture rounds in this size class comprise a slim majority of reported dollar volume in any given quarter. There were 130 supergiant VC rounds in Q4 2018. A dip in big deals bodes poorly for aggregate market numbers, and it’s part of what drove declines in Q1 dollar volume, which we’ll discuss in uncomfortable levels of detail shortly. China was neck-and-neck with the U.S. for several quarters until it very suddenly wasn’t. It’s plain to see in the chart of supergiant VC rounds above that China was neck-and-neck with the U.S. for several quarters until it very suddenly wasn’t. For Q1 2019, Crunchbase data lists 22 supergiant rounds raised by China-based companies. There were 38 reported in Q4 2018, and 50 in Q3 of that year. But when it comes to the question of where the billions went (or perhaps, more properly, didn’t go), China is not the only answer. As we’ll see in subsequent sections, the Q1 pullback affected North America as well. We’ll start by looking at deal volume, which continues a multi-quarter downtrend. The contraction in round counts may be a sign of tougher times for startup entrepreneurs looking to secure venture funding. We’ll see in a later section of this report that venture capital dollar volume is down as well—much more sharply so, primarily due to a significant drop-off in supergiant ($100 million or more) VC deals. However, Q1 data indicates that rounds remain historically large across all stages. 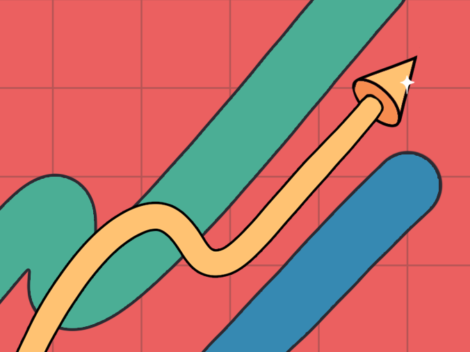 Crunchbase projected data says that globally, about 8,097 deals were struck in Q1 2019 worldwide, down 3 percent from last quarter, but up 6 percent from last year. Angel-Seed investments led the pack in the quarter. Early-stage rounds fell by a whopping 33 percent quarter-over-quarter. In Q1 of 2019, the number of U.S. and Canada-based startup rounds across all stages hit its lowest point in five quarters. Altogether, companies in the area closed just shy of 3,000 rounds in Q1, according to Crunchbase projections, down from just over 3,400 in the prior quarter. Deal counts were down for seed through late stage. But the drop was steepest at early stage, where the number of rounds fell by a whopping 33 percent quarter-over-quarter. Venture investment totals were down some in Q1 2019 compared to the sky-high levels of the prior quarter. Crunchbase projects that roughly $74.96 billion was invested across all stages, down a considerable 19 percent from last quarter’s global highs. This being said, on a year-over-year basis, Q1 2019 comes out ahead of Q1 2018 in terms of dollars invested. Investment totals were down from Q4 of 2018 levels across all stages except for Technology Growth rounds. However, given that Q4 was the most extravagant quarter for venture funding in the history of the Crunchbase dataset, a dip isn’t entirely surprising. Moreover, investment was still running at historically high levels in Q1. Sure, it could go down further, but we’re certainly far from bear market territory. For U.S. and Canadian upstarts, Q1 still ranked as the second-richest of the past five quarters, with investors putting $36.2 billion to work across all stages, according to Crunchbase projections. The composition of “seed-stage” funding is itself shifting toward bigger deals. We’re going to spend a lot of time on this stage of funding. Last quarter, the story was all about late-stage and the mind-boggling sums raised in those deals. In Q1, the focus is shifting to what comes next. Venture investors noted that seed-stage deals appear to be on the decline. However, research published in Crunchbase News suggests a different narrative: that the composition of “seed-stage” funding is itself shifting toward bigger deals. Seed, pre-seed, and angel rounds. Venture rounds of unknown series, transactions of undisclosed type, and convertible notes totaling $1 million (USD or as-converted USD equivalent) or less. Equity crowdfunding rounds with no listed dollar value, as well as those totaling less than $5 million. We’ll start with the number of deals Crunchbase projects to have occurred last quarter and the year preceding it. We plot global totals, split by geography. We’ll explain these charts as a pair. And here’s projected dollar volume. Crunchbase projects that, worldwide, $3.46 billion was invested across nearly 5,200 deals. Globally, angel and seed-stage deal volume is up both in relation to the prior quarter (Q4 2018) and the same period of time last year (Q1 2018). In terms of dollar volume, however, results are mixed. Compared to the preceding quarter, projected dollar volume shrank back by nearly 17 percent. This being said, relative to the same quarter one year back, dollar volume is up by roughly 17.7 percent. It all kind of all comes out in the wash. Notably, reported funding data points to stagnation in the growth of seed and angel-stage deal size. In our global data, the average deal size at this stage was roughly $1.4 million, whereas the median deal was approximately $700,000 USD or its foreign-currency equivalent. Relative to last quarter, the average deal at this stage was nearly 7 percent smaller. Worldwide median deal size remains unchanged relative to last quarter. Nonetheless, angel and seed-stage deals have sprouted like seedlings in fertile soil; growth may be hard to measure from moment to moment but over a sufficiently long time it becomes apparent. Globally, Q1 2019’s median deal size is 75 percent larger than Q1 2018’s cohort of deals. Our global numbers also point to expanding seed-stage equity markets outside the U.S. and Canada. Companies in the rest of the world accounted for 66 percent of the angel and seed-stage transactions in Q1 2019, compared to 65 percent in Q4 2018 and 59 percent in Q1 2018. Angel and seed-stage dollar volume trends similarly, international companies took down 63 percent of the seed money invested in Q1 2019, up from 51 percent in Q1 2018. Angel and seed-stage investment in Q1 of 2019 hit its lowest projected total in the past five quarters. Crunchbase projects that North American startups raised a total of $1.29 billion in seed funding across roughly 1,750 rounds in the just-ended quarter. In Q4, by comparison, about $1.7 billion went to roughly the same number of startups. The Q1 declines continue a longer-term trend of seed-stage contraction in the two countries. When cryptocurrency was hot, it was really hot. Fast forward, the crypto-hype is down, but we saw that startups that focus on cryptocurrency and blockchain are still propelled by new funding. Traditional Series A and Series B rounds. Equity crowdfunding rounds between $5,000,001 and $15,000,000. Venture rounds of unknown series, convertible notes, and rounds of undisclosed type, so long as they’re between $1,000,001 and $15,000,000 or USD equivalent (in the case of foreign currencies). Early-stage deal volume appears to be on the decline, and where the deals happen is shifting. Crunchbase projects that there were just over 2,300 early-stage deals struck in Q1, down more than 16 percent from the prior quarter. This being said, relative to the same time last year, deal volume is higher. Crunchbase data indicates that 61 percent of the projected deal volume occurred outside the U.S. and Canada, a high point over the past five quarters. This echoes the shift in seed and angel-stage deal-making as well. Yet dollar volume fell. Crunchbase projects that roughly $27 billion was invested in early-stage venture deals in Q1 2019, declining nearly 7 percent from the prior quarter. Unlike with deal volume, which is shifting toward companies outside the U.S. and Canada, dollar volume isn’t experiencing similar relative changes. U.S. and Canadian companies raised 47 percent of the early-stage capital, up from 46 percent in the prior quarter. Crunchbase projects that just 892 North American companies closed early-stage rounds in Q1 2019, the lowest total in five quarters and down 26 percent from Q4 2018 levels. At the same time, investment totals were $12.6 billion in the just-ended quarter, down just 5 percent from Q4, and the second-highest total in the past five quarters. As usual, a few large early-stage rounds helped push up average round sizes. Standouts in Q1 include hefty Series B rounds for two Silicon Valley autonomous driving companies: Nuro, a developer of self-driving delivery vehicles that raised $930 million in a SoftBank-backed round, and Aurora, a developer of technology for driverless cars, which raised $530 million in a Sequoia Capital-led financing. Throughout the quarter, startups were landing impressive early-stage deals. Ride-hailing startup Ola had one of the companies it backs (Ola Electric) raise ₹4 billion (~$58 million) in Series A backing. Also, we saw a cannabis company bringing in cash: Flow Kana, a five-year-old industry leader, landed a $125M round led by, no surprise here, Gotham Green Partners. As we reported on earlier, Flow Kana distributes sun-grown organic cannabis to farmers. To all VCs reading: this was in the top 15 biggest early-stage rounds of the quarter, in case you needed to take cannabis tech more seriously. We saw a ton of health and telemedicine investment happening in smaller companies this quarter. To sum that up: San Francisco-based Calm became the first mental health unicorn after getting $88 million in a Series B. Next up, we’re going to take a look at “Late Stage” and Technology Growth deals. Here is where we find some of the biggest rounds in venture, and some of the final funding deals companies make before moving on to public markets or another path to liquidity. Series C, Series D, Series E, and later-lettered venture rounds following the “Series [Letter]” naming convention. Venture rounds of unknown series, transactions of undisclosed type. Convertible notes of $15,000,001 or more. Crunchbase projects that 586 late-stage deals went down in Q1 2019, down over 9 percent from the prior quarter. The geographic split of late-stage venture and technology growth round counts is pretty even, with the U.S. and Canada accounting for between 51 and 52 percent of global deal volume. International companies (particularly in China) dominated late-stage dollar volume figures, taking down 69 percent of projected capital in Q2 2018.
International companies (particularly in China) dominated late-stage dollar volume figures, taking down 69 percent of projected capital in Q2 2018. But now, by happy coincidence, dollar volume is split almost exactly 50-50, in line with the proportional share of deal counts too. That’s less true in the case of late-stage and tech growth dollar volume, which is concentrating in the U.S. and Canada. Crunchbase projects that $44.5 billion was invested in late-stage rounds in Q1 2019, down a whopping 25 percent from Q4 2018. By happy coincidence, U.S. and Canadian companies are projected to have raised almost exactly the same amount of capital in the funding groups as their counterparts in the rest of the world. Funding for late-stage and technology-growth rounds was still running at historically high levels in Q1, but it dipped some from Q4 totals. All told, U.S. and Canadian startups raised $22.25 billion across late-stage and technology growth deals in Q1 2019. That’s down a bit from the $24.89 billion raised in Q4, but still marks the second-highest total in five quarters. Round counts, meanwhile, totaled just over 300 in Q1. That’s roughly average for the past five quarters. Where did all the money go? OneWeb, a Northern Virginia company developing a global satellite internet network, led the pack with a $1.3 billion March fundraise. Flexport, a freight logistics platform provider secured $1 billion in a SoftBank-led round, helping round out the quarter’s total. Aside from OneWeb stealing a lot of (deserved) attention, Q1 still had some exciting happenings. 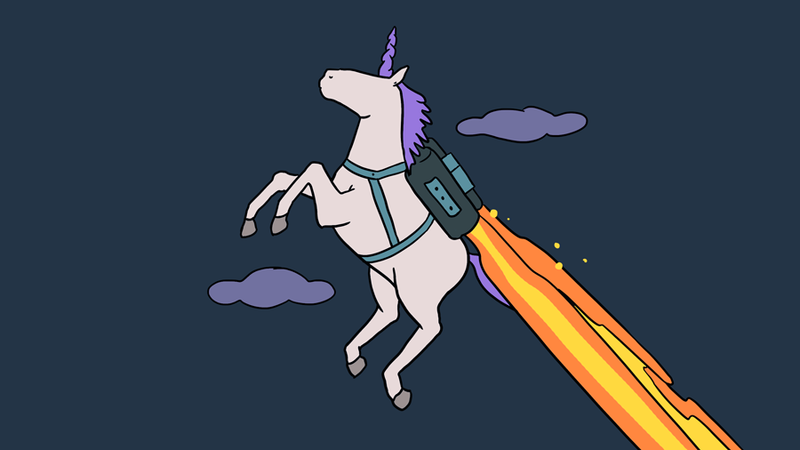 For example, two beauty startups, Rent the Runway and Glossier, became unicorns within two days of each other due to new capital. We also covered a round scored by Newsela, an edtech startup for Generation Z students (read here). Also notable: Viola Growth led two of the bigger rounds from this quarter, investing in property management startup Guesty and Applicaster (another SaaS company). Viola Growth’s Eran Westman (formerly CEO of Vidyo, before moving to the other side of the table) blogged about how Applicaster was his first investment, and why he was excited about it. 2018 was a banner year for new venture fundraising, and Q1 this year is off to a similarly strong start. Crunchbase News’ analysis from last month found that there are now more venture capital funds than ever before, capital continues to concentrate at the top, favoring firms that have been in the business for years. This is certainly the case with life science investor and startup studio Flagship Pioneering, as well as vaunted Silicon Valley venture firm Accel. Corporations continue to back new venture investment with their own cash. Cisco backed Decibel’s half-billion dollar VC fund. Sovereign wealth from the governments of Abu Dhabi, the principal backer of Mubadala Ventures, and elsewhere continued flowing into new funds targeting high-growth markets. In other words, especially at the larger end of the assets-under-management (AUM) spectrum, Q1 2019 was a continuation of business as usual in the venture game. Below, you’ll find a table of some of the larger funds announced in the previous quarter. Last quarter, Crunchbase News also covered the world of micro ($25M-$100M) and nano VC funds. These investors may raise smaller sums than other funds, but their diminutive size enables a kind of nimbleness in strategy that isn’t afforded to firms with more under management. Below, we share a sample of some of the smaller funds announced or filed for in the first quarter of 2019. You’ll notice that many of them have a specific regional or sector focus, with regions outside traditional startup hubs like Silicon Valley and New York City seeing a number of new funds. As mentioned earlier, venture capital is a two-sided market. VCs raise capital from limited partners, and startups raise money from VCs and individual angel investors. But how do investors at all layers of the capital stack cash out? Liquidity events, which come in two primary flavors: an exit via merger or acquisition, or to list its shares on public markets. Let’s start first with initial public offerings (IPOs). A federal government shutdown effectively shuttered the U.S. IPO market for the first few weeks of Q1. That exacerbated what was already gearing up to be a pretty sluggish start to the year for venture-backed offerings. Altogether, an estimated 14 U.S. and Canadian companies with venture or seed funding carried out IPOs in the Q1 of 2019 (full list here), in sectors ranging from biopharma to gaming to cannabis. However, in a year that is rumored to debut some long-awaited IPOs, the first quarter gave us a taste of what’s to come: Lyft pushed out its massive offering just before quarter’s end, and Pinterest and Zoom both publicly filed on the same day and reminded us that some tech companies can indeed be profitable. Other than that, we’re still waiting on some of the other unicorns to join the rest of the crowd. How the newcomers do on the public markets will impact other startups in waiting—especially Uber and Airbnb. With a strong start to the year, however, we’re guessing it’s just a matter of time. We also sifted through the database to find the biggest and most interesting venture-backed acquisitions from Q1. Some deals were a long-time coming (Uber and Careem), and others were interesting purely because of the diversity of industries they included, from podcasting to marijuana. We reported on a bunch of these deals at the time of the announcement, but for those who want to quickly scan a table, see below. We also included some transactions involving companies that were previously venture-backed but had since gone public. These days, with Lyft’s IPO in the rearview mirror and Uber, Slack, and other closely watched IPOs closing in, M&A doesn’t get as much buzz in startup circles. Yet while not as splashy as a public market debut, acquisitions historically provide the majority of exit paths for private companies. For North American startups, particularly in tech, Q1’s M&A tally was relatively hum-drum. We didn’t see any unicorn-sized tech deals. The sole multi-billion-dollar deal came from the medical device space: Auris Health, a Silicon Valley-based developer of surgical robotics technology, which sold to Johnson & Johnson for $3.4 billion. Besides Auris, other big deals included Verano Holdings, a branded cannabis company that sold to another cultivator and supplier, Harvest Health and Recreation, for $830 million, and NGINX, developer of enterprise software running atop the open source platform of the same name, which sold to F5 Networks for $670 million. Declines aside, the market for startup fundraising remains pretty darn great at the moment. Capital abounds. This being said, it is very possible that we are seeing something of a turning point in the market. The biggest unicorns, which have raised billions upon billions of dollars, will graduate to public markets. We are very late into a historic cycle of new company and new investment firm formation. The clock is running, but there’s still time to play the game. Just don’t get caught empty-handed when the buzzer finally rings.